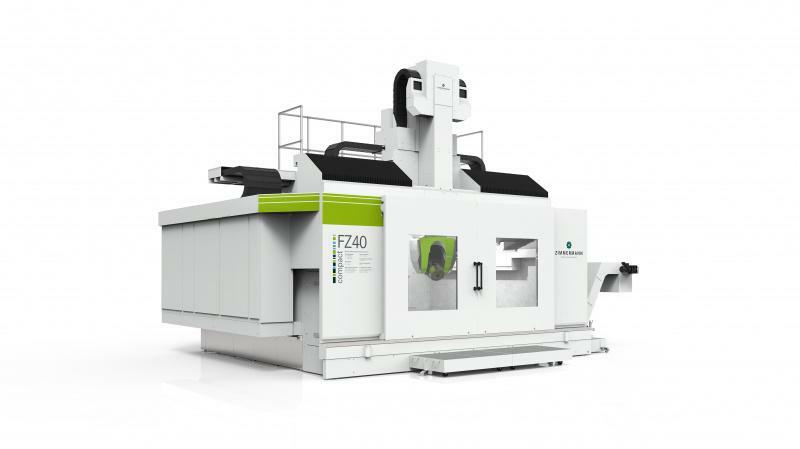 The portal milling machine FZ40 compact is designed for the machining of hard materials as well as aluminum. 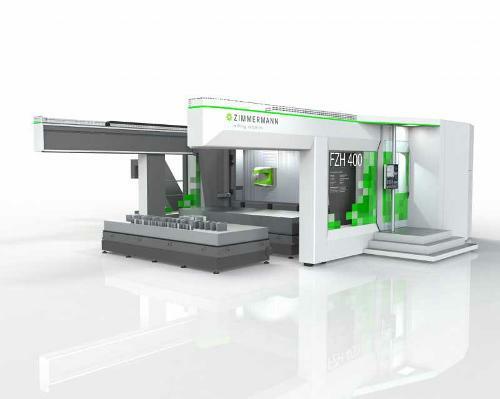 The inherently rigid machine structure allows for simultaneous 5-axis high speed machining. This compact machine, with its solid cast base does not require a foundation. 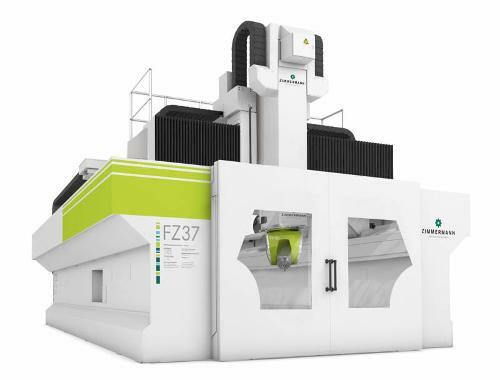 The machine table is integrated into the cast baseplate, which allows up to 16 metric tons of table load. 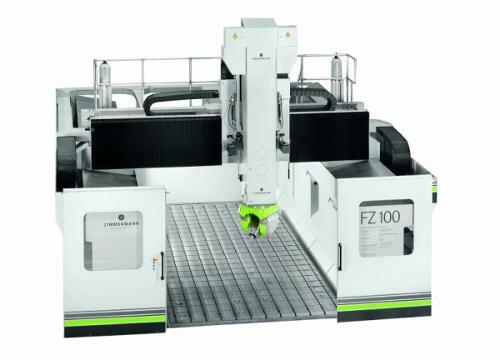 Eight mounting elements of the FZ40 compact reduce vibration – the basic requirement for high accuracy and optimum surface quality. The sidewalls are ﬁlled with a special dampening concrete mix to further enhance performance. The machine has a fully enclosed working space with a ﬁxed machine table. The structural sound overhead gantry with a reinforced Z-ram make up the moving masses. 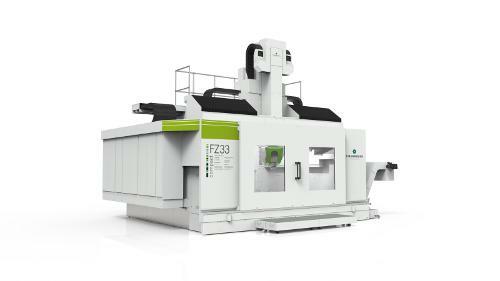 By adding our new dynamic milling head VH60, Zimmermann has created a powerful performer. The combination of high strength and rigidity, constant moving masses and dynamic drives, will meet the industries high demands.